Let’s explore together: 1) A great article on how to develop a proper customer acquisition plan for startups, 2) 7 slideshares diving into some of the best and most successful growth hacks of the past few years, 3) a how-to guide about Flow Reports in Google Analytics, which may be used to increase conversions, and 4) a study on how American consumers approach online shopping based on product/services ratings and reviews available on websites. 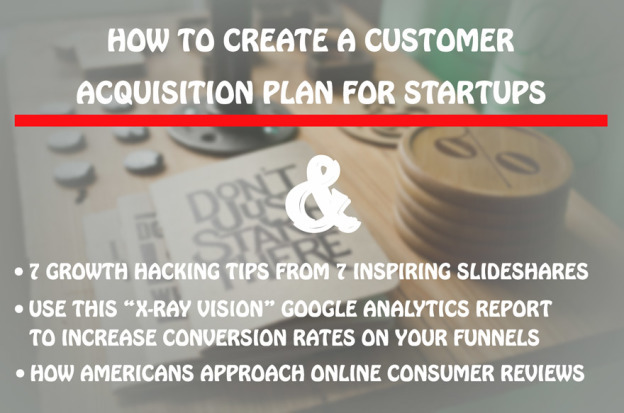 How to Create a Customer Acquisition Plan for Startups – Do you have a dynamic plan to acquire customers? What you need is develop a process — along with goals, strategies, and tactics — that will continue to move your business forward. This article will perhaps help. 7 Growth Hacking Tips From 7 Inspiring SlideShares – 7 slideshare presentations about the best growth hacks of all times. 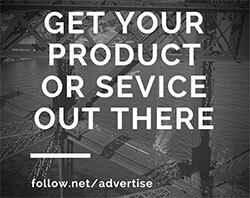 Dive into this blog post, and find out the tips you need to know to have an advantage over your competitors. Use This “X-Ray Vision” Google Analytics Report To Increase Conversion Rates on Your Funnels – Not many people know about the existence of Flow Reports within Google Analytics. This article explains what they are, where you may find the reports, and how you can exploit them to increase conversion rates. How Americans Approach Online Consumer Reviews – This article will give you an idea of how important product/services ratings and reviews are for online shoppers when deciding to make a purchase. The study refers to U.S. adults who read any online consumer reviews. This entry was posted in Customer Acquisition Strategies and tagged consumers, customer acquisition, customer-acquisition plan, Flow Reports, Google Analytics, growth hack, increase conversion, online shopping, product/services ratings, reviews, slideshare, startup, website on December 4, 2014 by Davide Di Prossimo.